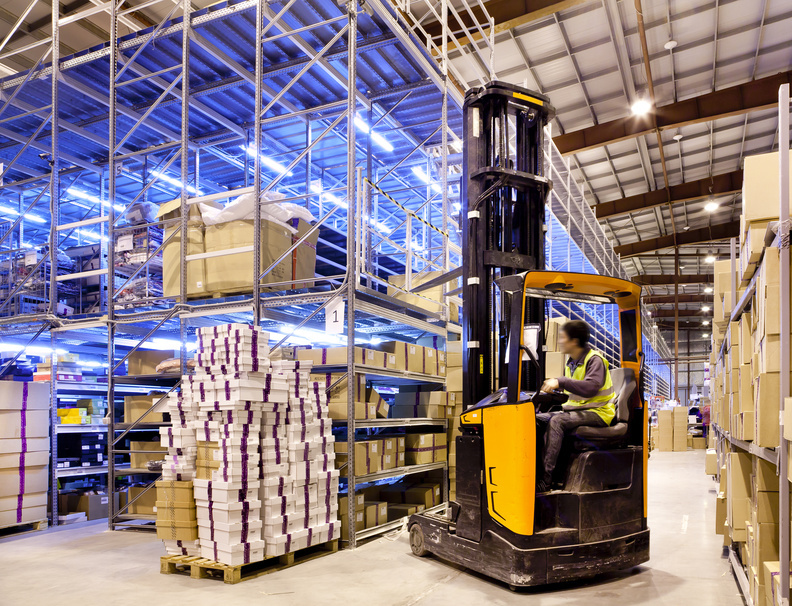 At any warehouse, time is money — and ensuring that personnel work at their optimal level of productivity without harming themselves is incredibly important. And your personnel could be working below their ideal level of efficiency without you even realizing it! To help personnel locate items easier and faster, consider setting up a labeling system that allows personnel to find things according to their row and shelf. For example, label aisles with the letter A, followed by a number — the 25th aisle would be A-25. Label shelves, drawers and other product storage areas in a similar fashion. When more than 50% of warehouse labor is spent on pick and pack processes, this is a great way to reduce the amount of time workers spend looking for items. When performed by hand, forklift battery washing is an arduous, time-consuming task — it’s easy for personnel to make errors or forget steps in the washing procedure, and working in such close proximity to forklift battery chemicals highly compromises battery room safety. Rather than waste time and compromise personnel’s safety by having them perform forklift battery washing by hand, consider investing in a battery wash cabinet that can do the washing for your personnel. It gets the job done faster and keeps personnel safe from harmful chemicals. If forklift batteries aren’t charged correctly, it can severely hamper the battery’s lifespan and ability to hold a charge. And when the battery makes up as much as 30% of a forklift’s total cost, protecting this investment is vital. Never allow personnel to use a battery that is below 20% charge, and keep fast charges to a minimum. Communication is a vital part of any warehouse, especially when it comes to making sure your warehouse stays efficient. By letting personnel know your warehouse’s organizational and productivity goals, they can stay in the loop and join you in working to achieve these goals. Training personnel to work quickly and efficiently while staying safe is another key step in ensuring overall warehouse efficiency. Allow new personnel to try out what they’ve learned during training in a test environment before allowing them to work on the warehouse floor; this has been proven to work much better than the usual sink-or-swim method of introducing new personnel. Have any other questions for us on forklift battery washing or maintaining efficiency in the warehouse? Feel free to ask us anything related to the warehouse work environment in the comments below. Posted on January 26, 2015 by Gina. This entry was posted in Describe the benefits of a forklift battery cart, Forklift battery extractor, Mobile drum lifters. Bookmark the permalink.